The rich, shimmering look of our quarter-sawn mahogany Chef’s Board make it an eye-catcher in any kitchen. 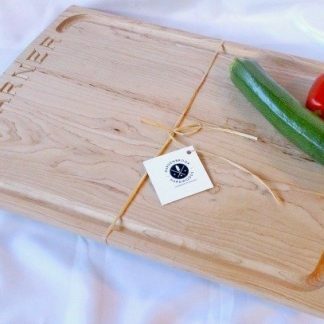 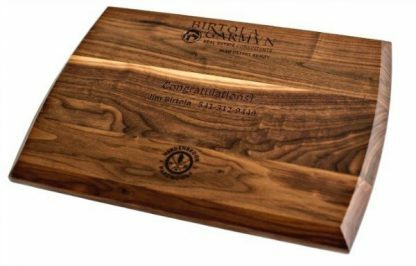 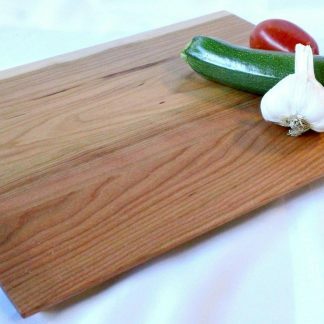 Measuring 14″ wide, 20″ long and a hefty 1.25″ thick, it is big enough to handle almost any task you’ll ask of a cutting board. 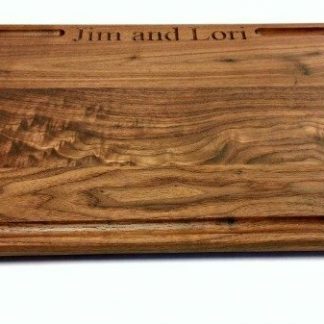 Engraving the front with your friend’s name and a personal message on the back are included! 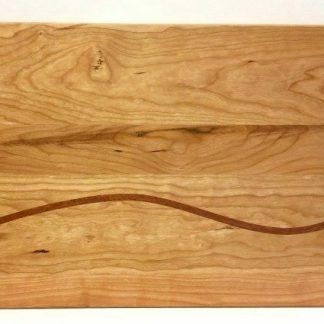 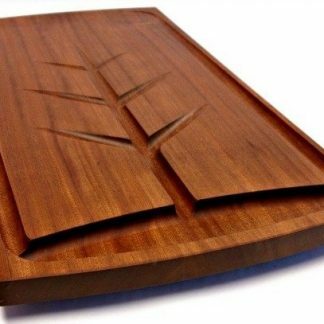 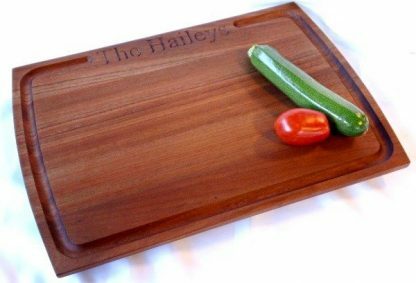 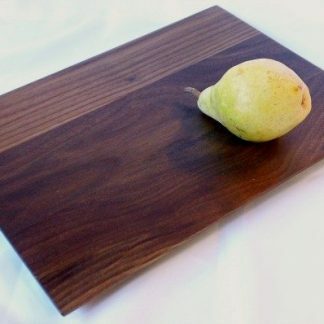 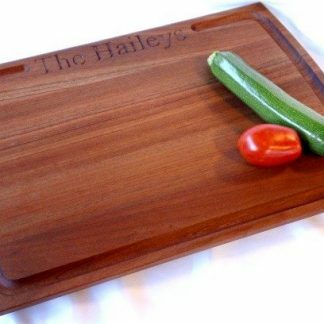 Our Chef’s Board, in quarter-sawn mahogany, has a rich, shimmering look, that makes it an eye-catcher in any kitchen. 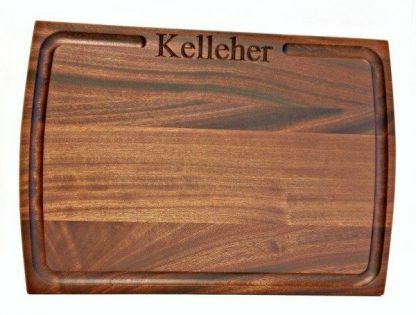 It measures 14″ wide, 20″ long and a hefty 1.25″ thick, it’s big enough to handle almost any task. 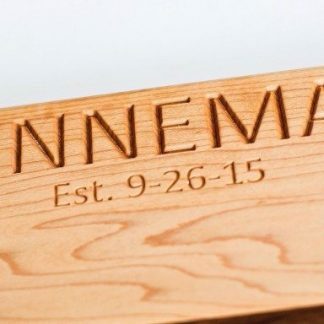 Engrave the front with your friend’s name and add a personal message on the back to create a meaningful gift that will be cherished for decades. 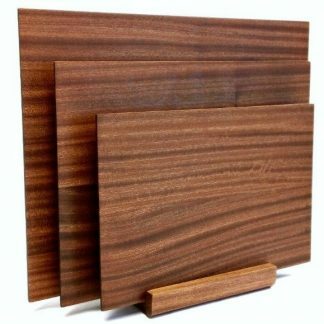 We attach rubber feet to the bottom with stainless steel screws to prevent slipping on any surface.